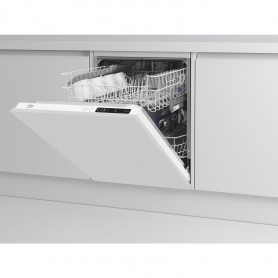 Exclusive to Euronics and Agent Stores, the DIN14C11 comes in a clean, white finish with a silver front panel. 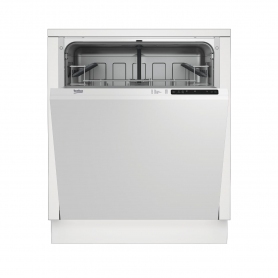 A built-in model, this Beko dishwasher is designed to fit seamlessly into your kitchen to suit your style. Holding an A+ rating for energy efficiency, this appliance helps to keep running costs down. Get peace of mind with a two year promotional guarantee, with one year standard and one additional year. Simply register the product within 90 days of purchase, either by phone 0800 597 8646 (ROI: 1800 910 899) or online at beko.co.uk/register (ROI: beko.ie/register). 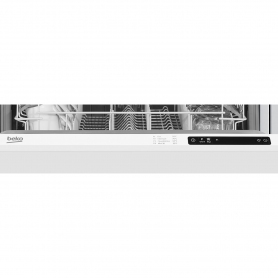 Beko’s DIN14C11 has a range of programmes and functions and was designed for easy installation. Order yours today. 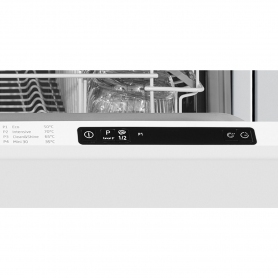 The Mini 30 programme washes a full load of lightly soiled dishes in just 30 minutes. Height adjustable basket, even when fully loaded, creates extra space for loading bigger plates in the bottom basket. 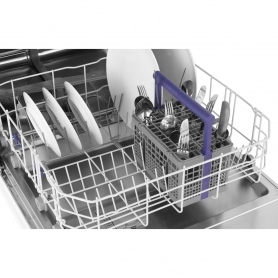 Folding cup racks in the top basket and folding plate supports in the bottom basket make it easier to load your dishwasher. 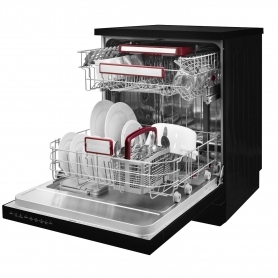 Half load function - save on water and energy consumption with smaller loads. Low water and energy usage helps save you money on utility bills. 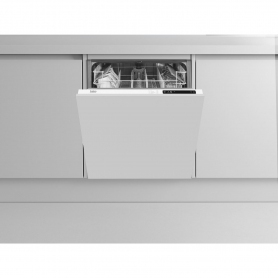 SelFit - this integrated dishwasher will automatically adjust itself to the weight of the furniture door, making installation quick and easy. Time delay up to 9hrs - wash when it's convenient. 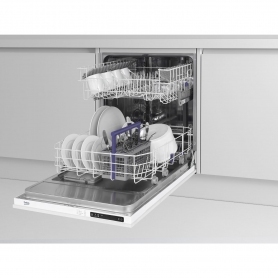 Salt and rinse aid indicators let you know when salt or rinse aid needs adding to your dishwasher.